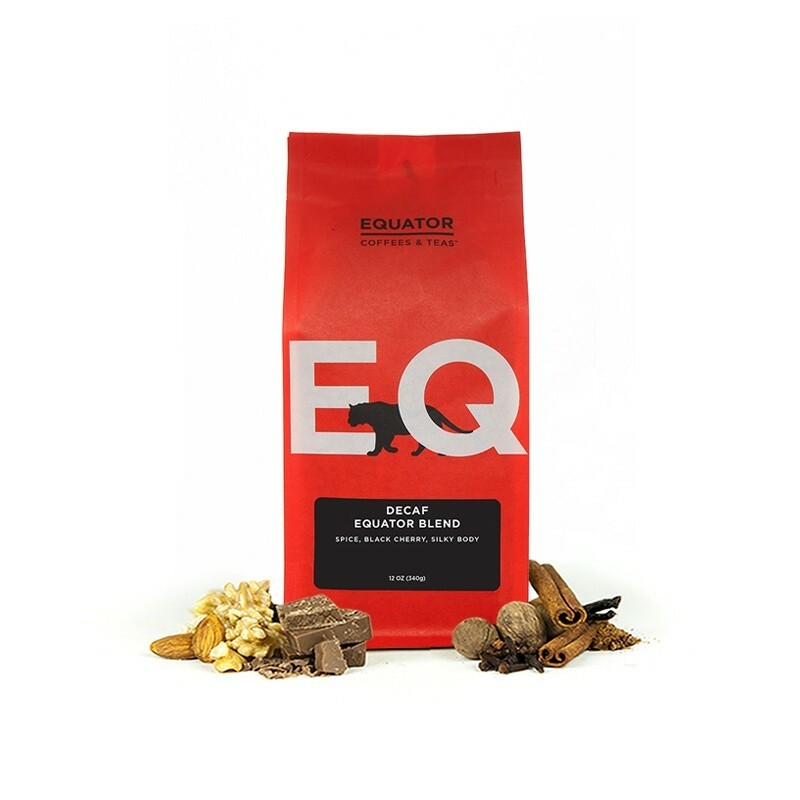 This is the Decaf Equator Blend brought to you by Equator Coffees & Teas. This medium dark roasted decaf offering is perfect for enjoying any time of day. It has a great body and a silky mouthfeel with fruity and cedar notes, complimented by flavors of pepper and nutmeg. I've liked some of the other equator coffees, but this one was harsh and metallic no matter which way i prepared it (espresso, french press, pour over). YUM! Such a great decaf. Also, the bag is super cool...if you're asking. Best tasting coffee you've sent yet! It just keeps getting better and better. This is a good coffee but I am not partial to the peppery flavor. My new favorite coffee! Strong and flavorful. Thought the roast would be too dark, but it makes a great cup. The notes about the silky mouthfeel are right on. This coffee is smooth and tastes good, but it has a subtle cherry flavor which I am not a big fan of in coffee. I liked the other Equator coffee -- the Mocha Java Blend was delicious, but this decaf one tastes just a little bit too cherry-flavored to me. Update: this coffee has grown on me and I am enjoying it more now! It's very smooth. This is slightly more roasted than I would have liked; but works really well with a cookie or after dinner (glad it is decaf). It definitely has good body and mouthfeel - so will get it again sometime but want to try other decaf options too. My favorite since the Noble Decaf Ethiopia Sidama. Excellent.